Searching for the proper driving school can be a very challenging and difficult thing to do with many options to choose from. 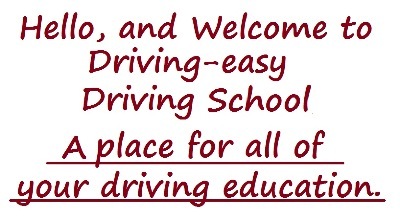 We have set up for you a few things to look for in a driving School, even if you don't choose us as the Driving School to obtain your drivers license from, or maybe you already have your driver's license and you are looking to just take refresher courses, perhaps to get more comfortable in the highway or on the local roads. There are many Tips for Selecting a Driving School, All driving school operators and instructors should be professional, courteous, respectful, certified by the NYS, and emphasize safety and integrity. Website reviews can be very deceiving and misleading, anyone can post a review, competitive and rival driving schools can easily write a bad review about another driving school at any time. Just like any competitive restaurant can write a bad review about any other restaurant in their neighborhood to maybe try to steer away customers towards their establishment. No matter how professional you can be, you will never make everyone happy, here at driving-easy driving school we tried our best to help accommodate you to have a easy and smooth transition to obtaining your drivers license, or if you already have your drivers license, we tried our best to make sure you are always pleased with our service. But inconveniences can happen to even the best businesses, negative situation can occur to any business at any time, the important thing is how you react to rectified the situation and make sure that your clients always go home satisfied. Although not always every dissatisfied client expresses their inconveniences, and in this case, the client never gives the business the opportunity to fix the situation. Now here is the positive, we have been in business since 2004 and the complaints over the years have been very minimal, and mind you, the most complaints we ever have gotten has been that a student got used to a certain instructor, and for whatever reason maybe that certain instructor couldn't make it on that particular day, and we had to give the student a different instructor for that particular day. Here is the problem with that, Are you paying us to make a friend or are you paying your well hard money to pass the Road test and gain real driving skills to maintain safe and alive on the road. The number one problem that some driving students have is that they get use to one particular driving instructor and when the road test day comes, they are In shock when they realize how much different the Road test Examiner turns out to be, and guess what? Sometimes they fail because they only got use to driving with this one particular instructor. Yes, we try to keep the same student with the same instructor, and if that is a request that you would like, then we can definitely accommodate you, but if an inconvenience occurs that you may have to be instructed by someone different, trust me! Don't resist a different instructor, it will help you to really evaluate your driving skills in obtaining someone else perspective of your driving skills. This is the reason we offer FREE EVALUATIONS, so that if you have any doubts or concerns before signing up, you can express then to our staff when you come to our driving school, good luck in choosing a driving school. If you have any questions and doubts before you sign up with us, don't hesitate to call either the office at 718-239-7101 (02) or management at 347-488-6253, you can even text the 347 number. Good luck in obtaining your Driver's License. 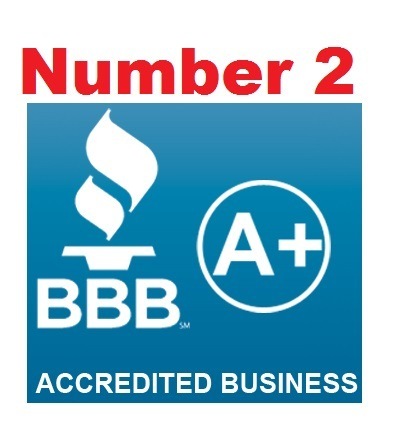 This is an easy one to explain, We have no complaints with the Better Business Bureau, which is unlike what many other businesses could say, please do your research before purchasing a services with any other business. Recently there has been some scams from a few driving schools, before you purchase any service from any driving school, please research them in the internet before committing to a driving service. We have received quite a few complaints recently from a few students about their bad experiences in the other businesses. Our intentions are not to speak wrong about any other business, however, we just want to sure that you choose a driving school wisely. Regards and many Blessings to you!